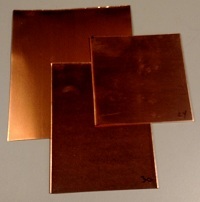 Copper Sheet Sample set: One each of all 3 thicknesses of our copper sheet : 36, 30, & 24 gauge. 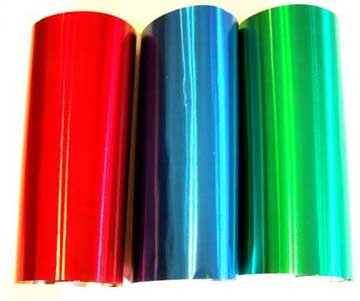 - colorful on one side and aluminum on the other side. 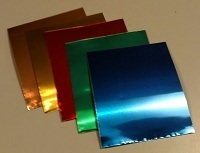 Samples are listed with approximate sizes and may vary slightly larger or smaller. Samples are non retunable. 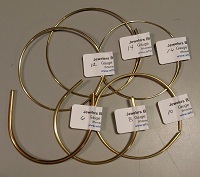 These are the sizes most often used in Jewelry and fine craft. 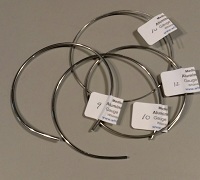 Sample set of each of the gauges of soft round THIN aluminum wire we offer above: 14, 16, 18, 20, 22 gauges. 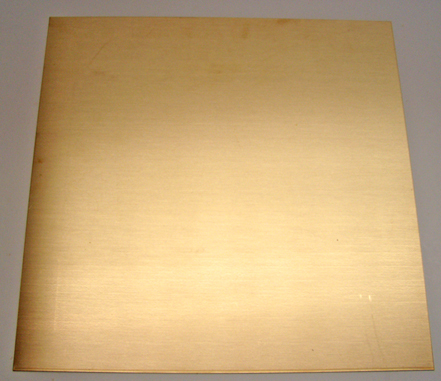 Length of samples are approximately their gauge: 14 gauge = 14 inches, etc. 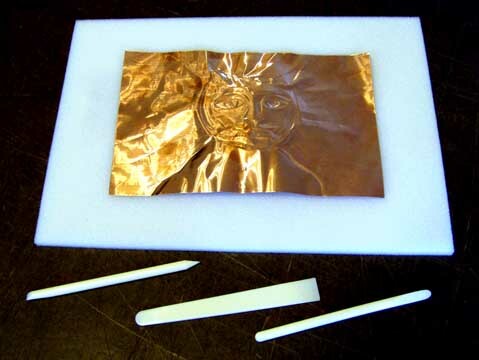 These are the gauges most often used in sculpture and medium craft work. 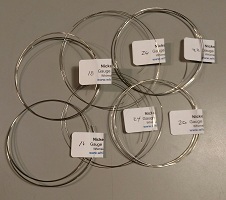 Sample set of the thicker gauges of soft round aluminum wire: 4, 6, 8, 9,10, 12 gauges. 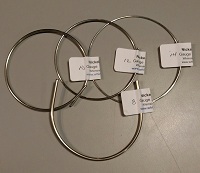 Length of samples are approximately their gauge: 8 gauge = 8 inches, etc. Some of this stiffer wire has slightly gray pewter color due to its recycled content but it easily polishes up to bright shiny. 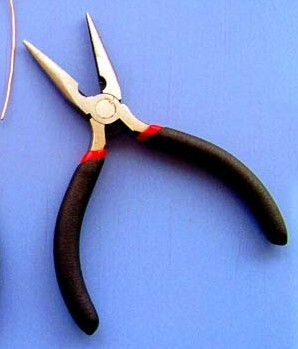 Length of samples are approximately their gauge: 16 gauge = 16 inches, etc. Length of samples are approximately their gauge: 12 gauge = 12 inches, etc. 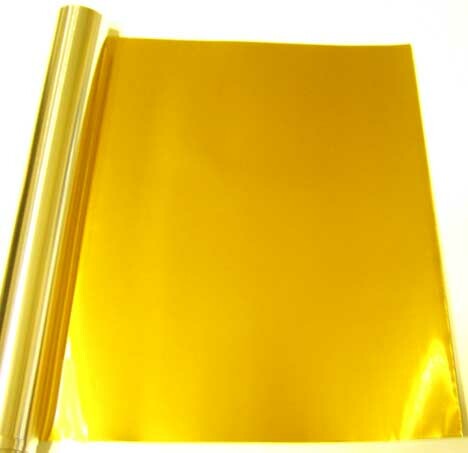 we offer: 14, 16, 18, 20, 22, 24 & 26 gauge. 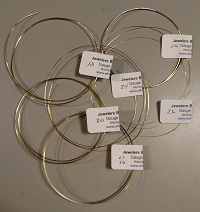 Sample set of all our thin gauges of round brass wire we offer 16, 18, 20, 24 & 26 Gauges - plus 21 gauge square. 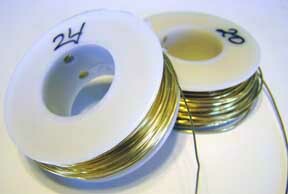 These are the most used thickness of wire for jewelry and fine craft. 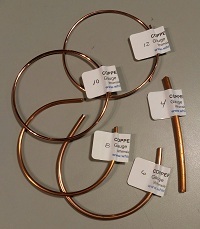 Sample set of each of the thick gauges of round brass wire we offer 6, 8,10,12, 14 & 16 Gauge. 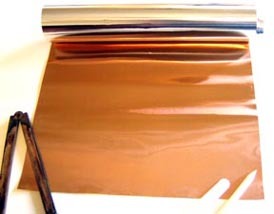 These are the thickness of wire most used for sculptures, heavier jewelry and fine craft. 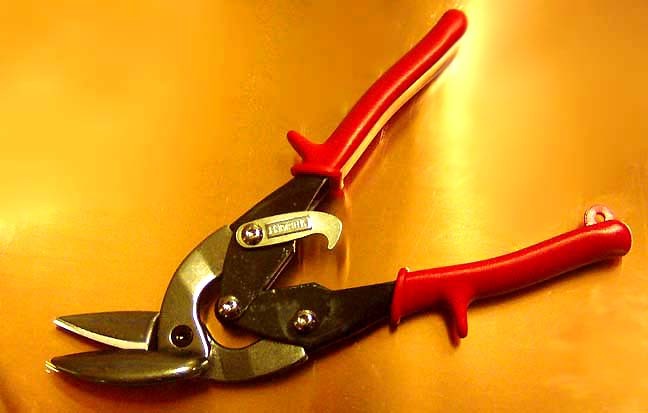 Length of samples are approximately their gauge: 10 gauge = 10 inches, etc. 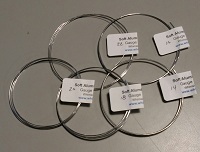 Sample set of each of the Thin gauges of round nickel wire we offer above: 16, 18, 20, 22,24 & 26 gauges. 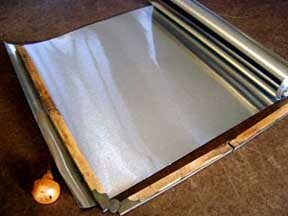 This alloy of nickel was created by jewelers to look like fine silver. 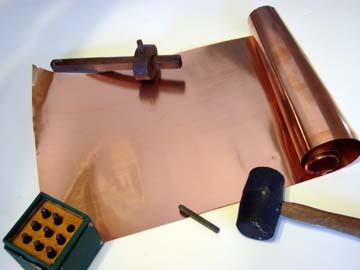 It is a mixture of nickel with copper and zinc. 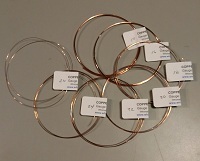 These are the thickness of wire most used in jewelry & fine craft. Length of samples are approximately their gauge: 22 gauge = 22 inches, etc.. 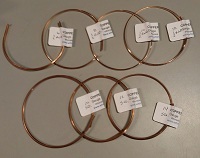 Sample set of each of the Thicker gauges of round nickel wire we offer above: 8, 10, 12, & 14 gauges. 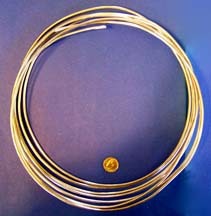 These are the thickness of wire most used in Sculpture, Heavy jewelry & larger craft. 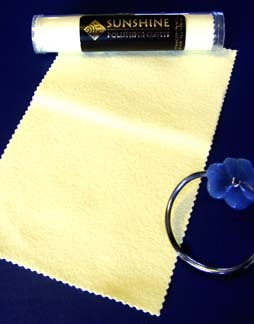 LLength of samples are approximately their gauge: 14 gauge = 14 inches, etc. Here are some hints on how to stretch your craft budget. 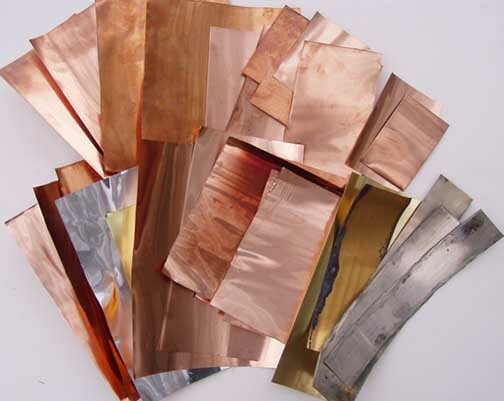 >ORDER SAMPLES: The best way to save on craft metal: ORDER SAMPLES before ordering larger amounts and save costly mistakes . Though we try to describe items as clearly as possible..There is nothing like hands on experience. The line drawings for gauges may not appear the same on all screens...use the measurements & a ruler to see the exact thickness. 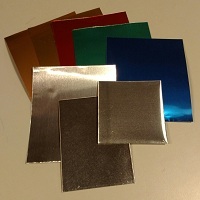 Ordering samples at your first opportunity will assure successful projects. >Buy LONGER LENGTHS- most items are up to 40% less expensive in longer lengths and shipping is far less per foot or yard. 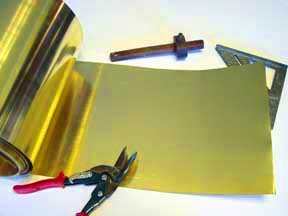 >SUBSTITUTE: OUR ALUMINUM SHEET AND WIRE are the least expensive metal we offer... 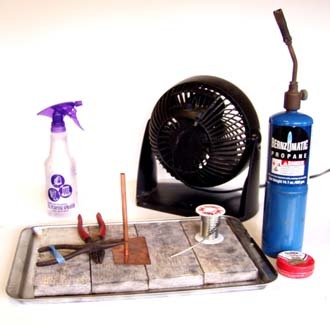 It can be painted any color including copper, brass, bronze - the best spray paints are available in auto parts stores- many of these are also available in most hardware stores. 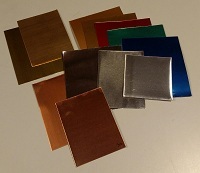 This way you can stock one metal and make it in several colors. 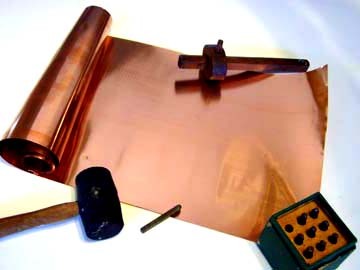 >Our Metal Crafting information can save materials by giving a background on how to work metals. Experiment on scrap pieces or samples. (c) Copyright 2010 -All Rights Reserved the Whimsie Studio.